Nos 2 to 8 Albyn Road stood at the corner of Deloraine Street (previously Brunswick Street). 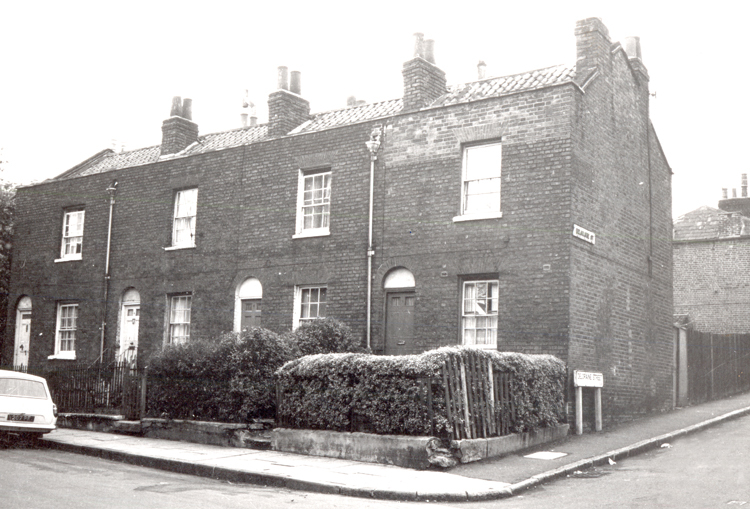 Albyn Road was previously St Johns Road and before that Garden Row. These were amongst the earliest houses in the area. They survived the clearance of Deloraine Street in the 1930s, but were demolished in the 1970s. The site is now used as allotments.